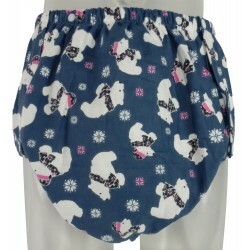 100% Cotton lining Cloth Diaper, Snaps and a special pocket for reusable liners. 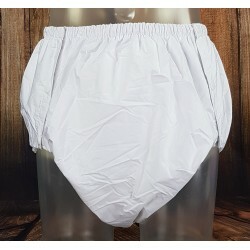 The 3 layers of micro-fiber provide excellent absorbency and sewn elastic band at the waist and legs provide maximum comfort and protection. With an aditional 3 layer microfibre liner.